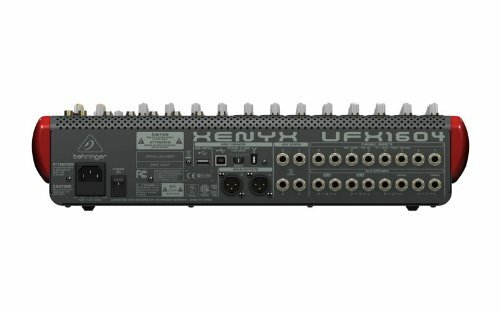 Conclusion – Is The Behringer UFX1604 The Right Sound Board For You? 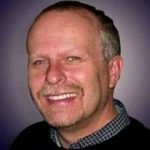 What Does a Church Sound System Cost? A good audio mixer is a truly essential part of the process when you are recording music. If you have access to a high-quality mixer, then you will be able to fine-tune things to the right degree. This type of mixer unit is going to be something that just about any musician will want to own. It also has several other applications that make it a sought-after tool. 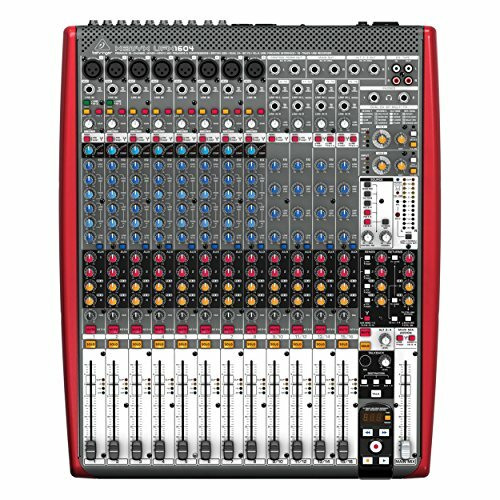 If you have been looking for a very good mixer that is also reasonably priced, then you will be interested in hearing about the Behringer UFX1604. This unit is going to work out nicely for anyone who needs a premium mixer that doesn’t come with a premium price tag attached to it. This is a high-quality piece of equipment that should be able to meet your high expectations. In order to figure out whether or not this is going to work out well for you, it is important to look into things ahead of making a purchase. A good mixer is all about the features that it offers, the quality of the build, its compatibility, and the price. Take the time to examine the Behringer UFX1604 to see if it can work properly for your needs. It will give you the right information to make an informed decision of your own. This mixer has the potential to appeal to both musicians who need a mixer for live applications and those who need a studio mixer. It has the right mix of features to give it a very broad appeal. You’ll be able to use this mixer to its full potential in a live setting very easily. When making use of it in a studio setting, this will make it so that you can fine-tune your music to perfection. It is obvious that professional musicians will be able to make full use of this unit. This can also appeal to amateur musicians and DJs. Anyone who needs a good mixer for live purposes will love making use of this one. It is simple to use and is fully-featured. You will be able to make use of a professional-grade mixer without having to break the bank. Even institutions such as churches will be able to make use of this type of mixer readily. It can make mixing audio for church purposes a lot simpler. Being able to get the best possible worship music can really help a church to reach out to the community in a fun way. Modern churches that have music at the forefront of their outreach programs will really benefit from owning one of these mixers. Audio engineers will enjoy tinkering with this mixer, too. It is very good at helping you to mix audio, and it connects easily to your computer. As long as you have a fairly modern computer, you should be able to use this mixer to its full potential. Whether you are looking to remix songs, or if you are messing around with other types of audio, this will work great for you. Keep in mind that you will not be getting any extras inside this box. You will receive the Behringer UFX1604 unit and a user’s manual. If you need any extra cables to hook it up to your particular setup, then you will want to order those along with the unit. Otherwise, it will be ready to work well for you right out of the box. What makes this mixer so desirable is really the number of features that it has. This is a fully-featured mixer that will be good for professional use. It remains simple enough so that amateurs will be able to learn how to use it without too many problems too. As long as you take the time to tinker with this mixer a bit, you’ll become very familiar with it without too much trouble. One feature that stands out about this mixer is how quiet it is. This is an ultra-low-noise mixer that will run quietly for you while being as efficient as possible. It is a high headroom analog mixer with an integrated 24-bit/96 kHz interface. It works with both USB and Firewire for your convenience. The 16-track USB recorder feature is very nice, too. This 16-track USB recorded is integrated into the unit itself, and it allows for instant recordings to be made. This is really convenient when you’re feeling creative or if you want to capture a live event. It will certainly have handy applications in the studio, as well. You can expect a built-in 16×4 interface that connects right to your computer or laptop. You are going to need to make sure that you have Mac OS X or higher or Windows XP or higher before moving forward, though. That is pretty much a given in modern times, but it is still worth noting. This unit also comes with 8 high-quality mic preamplifiers, making it a truly versatile tool. The included microphone preamplifiers are comparable to many standalone units that are quite pricey, so you are really getting a lot of value in this package. The 8 studio-grade compressors are easy to make use of as well and function with only one knob. You can have professional sound without needing to make things overly complicated or forcing yourself to spend too much money. A good alternative to this unit will be the Mackie PROFX16V2 16-Channel 4-Bus Compact Mixer. It is not quite as good as the Behringer offering, but it will be a good budget mixer for those who have limited funds. It offers good mixing features when you consider the price and it is also easy to use. Keep it in mind if the Behringer is slightly above what you would like to pay for a mixer. Just keep in mind that the Behringer is the better option of the two in regards to quality. You will definitely walk away impressed with the Behringer UFX1604. It is a very good mixer that is reasonably priced. The features that it offers are pretty surprising when you consider the reasonable price of the unit. It is a great way to get access to a professional-grade mixer when you are operating on a limited budget. This will work perfectly for both studio purposes and live applications. It is easy to set up, and learning how to use it to its full potential should not be difficult, either. You can make sure that your music or other types of audio sounds amazing when you use this mixer. It’s an option that gets a very high recommendation based on the quality of the build and the number of available features.